July 2018 P.E.A.C.E. News - P.E.A.C.E. There still are well over 1,000 children who were torn away from their undocumented families recently and have been put in detention all over the U.S., with no push by the Government to get them back together again. At the 700 June 30 protests the people spoke, saying that this cruel and harmful situation must end now. Please keep the pressure up on Congress and the Administration to hire professionals who will streamline the work with parents and families to be RE-UNITED with their children more quickly. Continue Support for Child Care and Head Start Funding! Please ask your Senators and Representative to fulfill the promise of the bipartisan budget deal to continue in the FY19 Appropriations for FY 2019 the agreed-upon amount of $2.9 billion for CCDBG funding, and continue the increase in Head Start funding. VOTE in your Primary and November elections! Volunteer to help your favorite candidate for Representative, as all are up for reelection on November 6, 2018. Please support candidates who will understand the importance of reducing military budgets and instead support children and families. PLEASE encourage everyone to vote. We, our family and friends must vote, as the results will have a major impact on our country and communities, for the next two years until 2020. Get out the vote! Child care programs should do what they can to encourage registration and voting among both employees and parents. P.E.A.C.E. 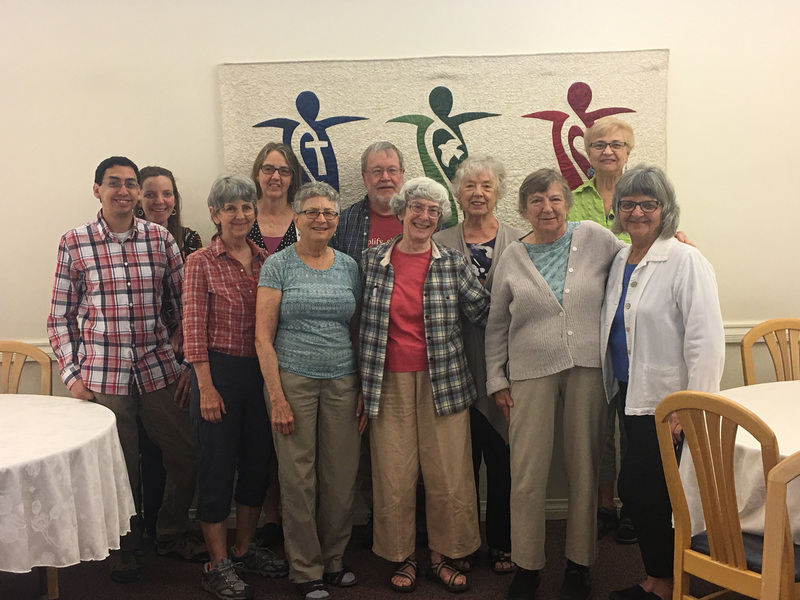 held its annual retreat for its most active members, the Worker Bee Council, on May 31-June 3, in Auburn, California. We celebrated our new Associate status with War Resisters International, one of the oldest and most active worldwide voluntary organizations working for peace. See next month’s newsletter for more details. We will work more closely with Educators for Peaceful Classrooms and Communities (EPCC), http://www.educatorsforpeacefulclassroomsandcommunities.org/, as well as with other Interest Forums of the NAEYC. We prepared for the 2018 NAEYC Annual Conference in Washington, DC, on November 14-16, 2018, including participation in a peace action while there. We celebrated the successful conclusion of our 2018 P.EA.C.E. Projects, to be reported in our June, July and August News, and we prepared for the 2019 P.E.A.C.E. Projects to be sponsored by members of the Worker Bee Council. We also celebrated the growth and activity of our Facebook Page, Peace Educators, which you are invited to “like”. And we began to pass torches from our older members to a new generation, who will carry our message forward. Our 2019 Retreat will be in the Boston area. Rodney West, co-facilitator of NAEYC Men’s Interest Forum, was brought to Boston to speak, network and organize with Men Teach New England, which is a network of male early childhood educators and their allies. Rodney, an African American teacher, spoke to our area to expand and solidify our connection with Men of Color teachers and support their work. He gave a workshop at the Massachusetts AEYC, met with caregivers and leaders in the early childhood community and visited early child care programs. Craig reported “We broke through many barriers because of Rodney’s visit”. Children’s Right to Play was a collaboration with the local community to build a new playground with an outdoor area for messy, creative and other activities. Shortly after planning they learned the proposal was not approved. They regrouped and made the decision to purchase a new and different item called MUD KITCHEN. The decision was based on the ability to bring the item inside which is what made this MUD KITCHEN so essential. The MUD KITCHEN has a sink and hose to connect to water and is enclosed in a large, movable, wooden structure with hooks and shelves. Messy play goes forward. In conjunction with this project parents were engaged in thinking children’s need for messy play. As this new pre-school opened the community held a multi-cultural festival celebrating with music and songs.